Shabby Apple is offering one lucky Grosgrain reader a $100 gift card to use as they like on their amazingly awesome shop! Grosgrain Giveaways can be entered by ANY ONE of four ways. 1) By linking about this giveaway (to your blog, facebook, or any other site) button is below. If you are using blogger, create a link by using this link: Create a link. Just remember to please leave me a comment telling me what you did so that I can go back and look for your entry. ALSO, PLEASE SPECIFY WHICH DRESS YOU'D CHOOSE IF YOU WON! I love the Cider dress! Also, I follow Grosgrain via google reader. I follow through Google Reader. I'd choose the My Champs Elysees Dress ! Thanks. Love the Alice dress! And I "liked" this post. Ooh, the Champs Elysées dress ... I follow you through google friend connect and I put a link on my blog. Thanks for the give away! I follow on google reader and love the primavera dress! That, or anything with lace or a pattern is a winner for me! I have an RSS subscription. I'd love love love the "Tow the Line" dress! I follow your blog. The Alice would be a lovely choice. Wish I could've worn it yesterday for Easter! I've been in love with the Cider dress for a while! I follow you on Google Reader! I like the alice dress too! I liked this post on facebook and I follow your blog. Sooo love the My Champs Elysees Dress! I liked on fb and also pinned it. I liked on facebook. So many to choose from! I've just spent much of Easter weekend gazing longingly at their dresses, and swim suits! I love Shabby Apple! I would pick the My Champs Elysees Dress... It's my favorite!! I follow via Google Reader, and I think I'd pick the Champs Elysees dress, although the Alice is a very close second! I've always wanted to try their dresses! I follow Grosgrain via RSS! They have the prettiest dresses! I repinned on Pinterest, plus I an subscribed to the RSS feed. To only pick one is hard, so Ihope it is okay I mentioen more than one. The Confidential is very pretty, Phi Beta Kappa is nice, I love the Lost at Sea skirt and the Overboard dress, and lastly Beauty Mark. I liked this on Facebook! I have also been in love with the Bellissima dress gahh! I follow via RSS (google reader.) Shabby apple is great! I'd love to have something from their maternity line. I really like the I'm late! I'm late! dress from the Mad Hatter collection. I follow you via RSS feed (google reader). I would love the Maize dress. I follow on RSS feed! I really like the Gray Fox. I follow on google reader, pinned on pinterest and liked on facebook. Oh thanks for the giveaway! I love the Pina Colada dress, although it was hard to pick just one! I liked this on FB and I put a link on my blog. Thanks again! lord, this could go on forever. i'll submit and keep shopping now. Thanks for the giveaway! These are all so cute. I liked this post on Facebook. I'm a follower! And, I would give the gift to my daughter for her 16th birthday so she could buy a pretty dress to celebrate in! I am in love with the cider dress! I follow you with Google Reader. WOW! What a great giveaway! And those dresses are awesome! I pinned on Pinterest. What cute dresses! I follow via google reader. So many beautiful dresses at the Shabby Apple! I would definitely choose the Alice Dress. I've been drooling over it for weeks! I follow Grosgrain via rss in google reader and I love Ferris Wheel. I follow you rss feed. There are a lot of cute dresses on there! i drool over just about EVERY dress on their site! :) i'm a follower through GFC! Ohhh it'd have to be the City of Angels combo for me!! I follow - and I would LOVE that Cider dress. *GASP! * I so love these dresses! I would pick the Alice dress for sure. I'm a follower! Love the Cider dress, but would gift the $100 to my beautiful daughter. Thanks for a chance. And I "liked" this post. Liked on FB! Thanks for the chance to win! The City of Angels shirt and skirt is amazing... seriously, amazing. Love me some shabby! Like on FB! I follow (on google reader) and even though you said I only one entry, I went ahead and tweeted about the giveaway as well. following via GFC....omg, I love the cider dress!!! I ADORE the Alice dress!! I am so in love with this color right now- it would definitely be my choice! I follow on Google and Liked/Commented on Facebook :) thanks for the chance to win!! I pinned this to my Pinterest page. I wish more of the styles on Shabby Apple were made in my size (WM), because I love them all and would love to buy them. Alas, I am too large for the majority of the items I love. I think I would probably go with the Truman dress if I won. I liked this on FB! Ohhhhh... how I want to win! I love dresses ... and esp Shabby Apple! I also pinned your post on Pinterest. :-) toodles! Wow they have really increased their inventory since the last time I browsed their site! I'd get El Capitan, or Acacademia..or...both! Thank you for the giveaway. I follow you! I love the My Champs Elysees Dress! I adore Shabby Apple! I've ogled the Alice dress since it's come out. I follow your blog and I liked this on facebook. And I really can't choose a favorite dress. I want to own them all! But I love the Alice and the After Class dresses. Love the Cider dress oooh and My Champs Elysees Dress is gorgeous too...so many choices. I follow Grosgrain through my Google Reader. I LOVE the Pina Colada Dress! I follow via RSS and I liked the post. I'd love the Jabberwocky skirt! I put this on my pintrest page. I love all their dresses. (they even have a section on their website just for redheads). I think that I would go with the My Champs Elysees Dress. Oooohh Shabby Apple! I posted the link on my blog. I have been in love with the Overboard dress for so long. That would be my choice. I love the Pina Colada dress. It's been on my wish list for forever. I follow your RSS feed in Google. I shared on Facebook and Pinterest, and I already follow you via RSS. I love "I'm Late! I'm Late". A fitting dress for me. I liked on facebook! Love the dresses. I liked this post on facebook! I think I'd choose the Alice dress or the City of Angels skirt. They are so girly and lovely! I first found Shabby Apple from your site! I love their dresses- it's so nice to own well made dresses that you don't have to add any layers to. I pinned it on pinterest and liked it on facebook. I would have a hard time choosing- probably pina colada, the consultant dress, or overboard. i follow through google reader. i would love the mulholland dress! Pinned the post on Pinterest to my "Styles I Love" board. I need a dress for my sister-in-law's wedding and after just having a baby a couple weeks ago, I think it's time to find something stylish! I'd go with Mariposa Grove or Off Campus. I subscribe in Google Reader. I love the Maize dress, too. Pinned it. I've loved the cider dress forever! I like that Pina Colada dress. I linked to my facebook! I love the Cider Dress so much! I follow this blog through my Google reader. I pinned it. I would love to own th Pina Colada Dress. I'm now following you on GFC. And I love the Alice dress! I'm now following and good GOLLY is this dress beautiful! 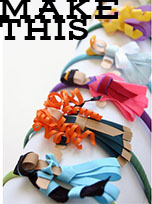 I follow Grosgrain, and I liked the post on Facebook! I have always wanted to try something from Shabby Apple, but never have been able to talk myself into ponying up. I'm leery of shopping online unless I know and trust the shop. But, you never know until you try, right? 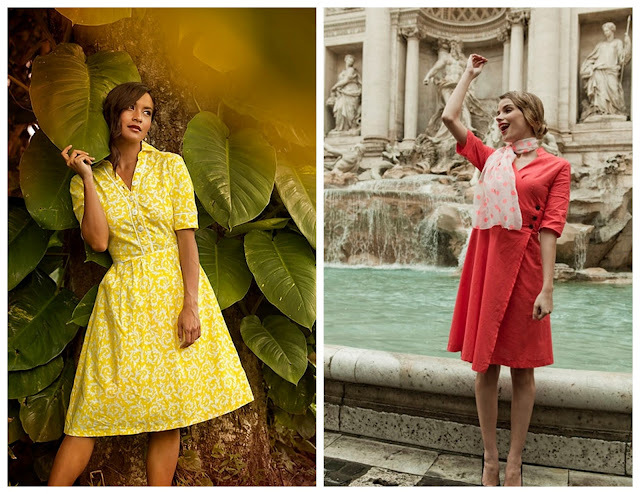 I think as of now, I would have to go with the Beguine #32, because I'm Snobby McSnobberson when it comes to fabric, and I'm dying to try one of those Green Leaf collection pieces! would love to the Whaterfront dress!!! I love the Pina Colada dress! I pinned your post on Pinterest. I follow, I follow! I love the Maize dress, it's perfection! I liked this to facebook! I would love the Pina Colada dress. I follow through Google Reader. I've admired the Champs Elysees dress before, so I think I'd choose it should I win! Love love Shabby Apple! I follow Grosgrain using RSS, I liked this post on Facebook and pinned the post! I would absolutely loooove to win the RED QUEEN dress! GFC follower dmarie824 and I'd love to get the Garden Isle dress. I liked this post on facebook, so all my friends can have a chance to win... of course, I'm hoping they don't, as I really want the I'M LATE! I'M LATE! dress. I just adore the lace and the boat neck. 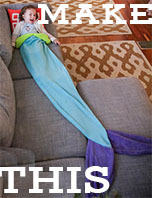 I would get a swimsuit! Love their selection! I already follow you in Google Reader, so I connected with Blogger as well. I'm going with this hot red scalloped number if I win! I love the Cider dress! 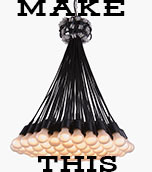 I follow Grosgrain via google reader. I pinned this post to my "My Style" board! I love the Alice dress! I follow Grosgrain! nice! thank you for this giveaway. i adore the love me do dress. i follow you on google friend connect. I am one of your followers. I love love love shabby apple! I LOVE YOUR SITE and I love Shabby apple! What a perfect combination. I would definitely choose Machu Pichu or The LIghthouse dress. I am a follower. I liked this on FB and I'm a follower on your RSS feed. So many dresses to choose from, I'd have a really hard time deciding! This is great! I am following you! 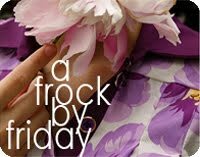 I've been lusting after several shabby apple dresses! I follow grosgrain on google reader. I follow on Google reader. I would LOVE this giveaway! I'm in need of a good baby shower dress and I think the Fruitful dress would be perfect! You have no idea how long I have COVETED the Overboard shirtdress! I'm a follower via GFC! I really like the Piazza Navona dress. I "liked" this on fb! I'm completely in love with so many of Shabby Apple's dresses, but I think I'd have to go for Alice or the Red Queen. I'm subscribed to your RSS feed. I love the Sunset Boulevard dress. I follow on Google. I love the extra credit dress! I'd love the Yorkshire dress, if it was available in my size! I follow Grosgrain in GFC, and I liked the post on FB. I "liked" you on facebook! I would love the city of angels shirt and skirt! It's just so girly! I "liked" the post on Facebook. It's so hard to pick just one dress! but I think my favorite is the Love Me Do Dress. I linked to this on Facebook. I think I'd choose the Alice dress! I pinned. I like the overboard dress. Love the El Capitan dress! But everything is seriously so pretty! I also pin'd this giveaway. I pinned on Pinterest, and if I won, I think I'd use the gift card to buy the Ph.D dress in the Academia collection, but it is so hard to choose between so many beautiful options! There are so many I love on that site, but I love the Champs Elysees Dress you posted...so cute! I'm a follower of this blog. How can I pick just one? I really like the Alice dress. I liked on facebook and pinterest. I love all the lace dresses and the Alice in Wonderland collection! alice dress and follow by rss. I 'pinned' this on Pinterest. 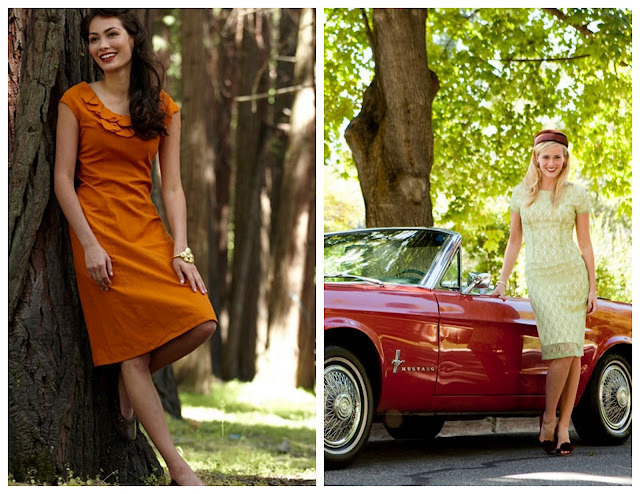 I also like the san gabriel dress...but you're right- so many to choose from! I follow your RSS and I would love that little Alice dress for a wedding I am in this summer!!! SQUEEEEE!! I follow your feed via google reader! How can I choose just one dress? I've spent hours looking on the site and can't decide! I've linked you to my blog, an amazing giveaway I would be honored to win the Alice dress!! Thanks Grosgrain! I would love the Bandersnatch skirt. I linked to your giveaway, liked, you on facebook, pinned you on pinterest and follow you on google reader. I pinned this on Pinterest. I love the Bijou dress. I liked it on facebook! Shabby Apple makes beautiful clothes! I'm a GFC follower (amdierm) and would get the Overboard Dress! I liked on Facebook and pinned this. I would choose the cider or the Sierra Nevada. I would have to go with the Alice Dress!! ..or a swimsuit to wear on my one year anniversary trip coming up :)) i pinned the site!! I liked the post on FB and just for good measure, I pinned it on Pintrest too! I adore the Cider dress! Just my style! I love the cider dress..And I follow you via google reader. Oh, I LOVE Shabby Apple! I have several of their pieces already and would LOVE to add another! I "liked" this post of FB and would definitely pick the new "Headliner" dress if I won the GC. Thanks for such a great giveaway! I liked this post on facebook! I adore the Alice dress! I follow via RSS in Google Reader with email address albolich(at)gmail(dot)com. I love the L'Amour dress!